An increased number of businesses have recognized the importance of having an appealing, informative website for promoting and boosting their business. Sites that can be easily searched by the users and which provide them with useful information for addressing their main points will be greatly benefitting the involved businesses. They employ sites for highlighting, marketing and selling their products, services and for various other purposes. In order to build a site that is able to clearly convey a business’s message to its audience and invoke users to take a desired action requires deep thinking, consideration of its needs and interests. A business wishing to get a site created for the first time, does not know much about how it gets created actually. It simply approaches a web designer and asks him to create one for its business and deliver it in 2-3 months. The business merely thinks that the designer being expert in his trade will be creating it on his own and it just needs to wait and watch till then. But truth is he cannot create a site in isolation. The designer has to seek ideas, views from the business about its unique needs, interests for creating it. This necessitates open and transparent communication among the business and the designer. It would prove helpful for the designer while he creates a fully functional and engaging site for a business. Below are mentioned the 6 essential but basic steps that should be followed for proper website design and development. By taking note of these, businesses would be able to better understand various processes and intricacies involved in the site creation. Thus they can play a proactive role in design development and guide the web designers in a much better way. So the functioning of designers would become much more smoother and easier. They would be able to properly focus at their work and create sites that are able to cast an impression on the users. Before commencing with the site creation, a web designer doing some mobile-friendly web design Perth needs to gain more knowledge about a business. He has to know what a business deals in, its goals and objectives, target audience, solutions it is offering for users besides other important things. So he can better evaluate the business’s requirements. Thus it becomes easy for him to comprehend what could potentially benefit a business and conceptualize a website design idea accordingly. Some designers prefer to send a questionnaire to the businesses for extracting more knowledge about their needs and aspirations. While some like to call businesses for discussing things early on. During their 20-30 minutes telephonic conversation, designers inquire about the nature of their business, their expectations besides other fine details. So they are more clear about what a business wants and what can be done for addressing their aspirations. This brings designers and their clients on the same page over site creation before actual design and development begins. With such gestures, designers are able to win over the trust and confidence of their clients. This also promotes collaboration among them. The purpose behind building the site. The specific set of people it is intending to target. The methods of marketing a business would be adopting for impressing and engaging its audience like word of mouth, content dissemination, etc. The kind of text and images that would feature in the site. Overall look and feel of the site. Type of layout to be chosen for better page organization and smooth navigation. Specific date when the site will be delivered after completing it in all respects. 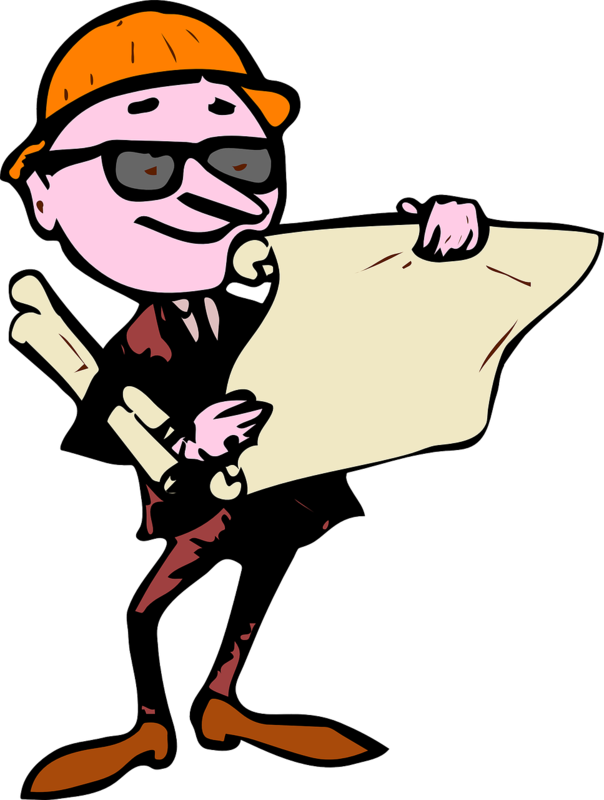 Planning phase also involves creation of a site map which tells about all the pages appearing in a site and shows how they have been linked. This gets presented in a single page layout. This map helps users in finding out specific pages in a site that they would love to visit. Thus users are able to navigate a site quickly and easily. The technologies to be chosen for site building would also be determined at this stage. A web designer taking a cue from his specialized knowledge, experience will suggest a business which technology would be appropriate for creating its site and the advantages associated with it. They can mutually decide upon using content management systems, contact forms, etc. for easy operability, improved human interaction and for earning other benefits if they are absolutely needed. After methodical planning has been done, it is the time to design a website for the business. A web designer would create a prototype design for a site after considering the points highlighted in the planning phase. He would then share a mockup of the design with the business to know its opinion about it. It will convey to him whether it liked the design or not, you can use many of the already beautiful wordpress templates out there. The business will suggest any corrections, modifications in it if these are at all required. Smooth, fast communication between web designers and businesses is vital for the success of design projects, so these can be delivered within budget, time. As using emails to obtain feedback on designs can waste a lot of time besides lowering designers’ productivity, it is advised to use online proofing tools like Ziflow, ProofHub, ProofHQ, Cageapp, ConceptShare and EasyProof for fast, effortless design feedback and approval. These tools enable designers to share designs rapidly with their clients who can highlight any anomalies, suggest any changes or corrections in the designs by writing text or through markup tools. So designers can quickly rework on designs as per the received feedback. This improves their workflow and designs can be rendered free of errors and approved, delivered as scheduled. These online proofing tools drastically improve communication, collaboration among designers, businesses and facilitate fast, successful completion of design projects. After a business okays the website design, the focus shifts to developing the site in order to make its design fully functional. This is the most challenging part. All the graphical elements constituting the design prototype will be taken along by the web designer who will now work on imparting functionality to them. For doing this effectively, a designer should have good knowledge of front-end web development. He has to indulge in HTML/CSS coding. The designer should be aware of the prevalent web standards. He should be able to maximize the site’s functionality and make the site accessible to an increased number of audience. A designer should allow the business to access its website while it is being developed, so it can exactly know what is being done over it. This would enable it to suggest any modifications or corrections in it in order to improve it further. Site development is performed either by the web designers who also have good knowledge in development or by web developers by collaborating with the web designers. Once the site has been fully developed, the web designer will work over its final details and test it thoroughly for any last minute glitches and get them removed if any. Failing to test it will allow the snags to go unnoticed, uncured thus creating problems for the business once the site gets hosted for use. This is going to push up costs over site development as well as damage the reputation of the web design firm involved. So testing a site is highly advised before its delivery to a client. While testing it, the web designer will check out its various forms, scripts to know if they are working fine. If not, he can get it checked where the flaws lie and get them corrected. A website also needs to be inspected if it is compatible with various web browsers. This is important as various users will access the site on different browsers. If the site is not compatible with any of the browsers, this will result in poor viewing experience for the users which can affect a business dearly. The HTML/CSS code written during development is also validated to gauge if the code is as per the current web development standards. This helps to address any cross-compatibility issues cropping up. The site also needs to be optimized for SEO purposes through keyword and title tags, so it can achieve a higher rank when being searched on the search engines. By choosing relevant WordPress plugins for enhanced default WordPress functionality boosts SEO efforts. After a site has been developed, delivered and put to use, it needs to be revised, upgraded as per the changing needs of both the target audience and the business itself. Users start looking for new, improvised products and a business has to get these developed and offer them to the users. This enables it to stay ahead of its competition besides boosting its sales and profits. A business also needs to mould, refine the site’s content as well as work on its technical, other aspects so as to make it more presentable and engaging. To achieve all these objectives, site maintenance is required. For this to happen, a business has to collaborate with a web designer. He will be putting the new content in the site, upgrade it technically and work towards improving its look and feel. So a business has to seek the help of a web designer for performing site backups, installing extra plugins and for various other maintenance activities. By following the above stated steps, web designers would be able to create visually appealing, fully functional and easily navigable sites for businesses which users would love to access and explore. But this can only be achieved if their is enhanced communication, collaboration among the web designers and the involved businesses. About Author : Upendra Rawat is a freelance writer who likes to blog about technology-related issues. Impressed with how technology is playing a keen role in changing life and work for the better, he feels the urge to share this with more and more people. So they can gain the most from the use of technology. He is a voracious reader devouring whatever interesting comes his way. Traveling, playing soccer and basketball, listening to music are the pastimes he likes to indulge in. Spending some serene moments in the lap of nature enthuses him the most.